Robert Greenidge and Steve Conn.
BREAUX BRIDGE, La. 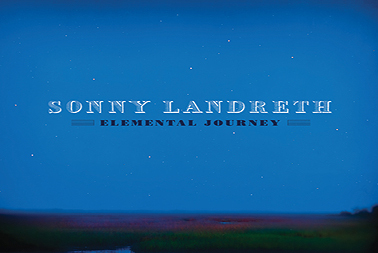 — Sonny Landreth’s 11th album, bearing the fittingly evocative title Elemental Journey, is something very different from the Louisiana slide wizard. Released on his own Landfall label on May 22, 2012, the new CD is Landreth’s first all-instrumental effort and his most adventurous work to date. Drummers Brian Brignac, Doug Belote and Mike Burch, each of whom Landreth has worked with in the past, lend their particular feels to various tracks, working with Sonny’s longtime band members, bass player Dave Ranson and keyboardist Steve Conn. Tony Daigle, another key member of Sonny’s team, engineered and mixed the album, while Landreth produced. The album blossoms forth with unexpected yet seamless juxtapositions. For example, Spanish moss atmospherics enwrap visceral bursts of rock and jazz on “Gaia Tribe,” and Sonny’s slide swoops and soars over a Jamaican-inspired groove with Greenidge’s Trinidadian pans on “Forgotten Story,” while “Wonderide” finds zydeco romancing classical. Strings play a featured role on five of the pieces. The string arrangements by Sam Broussard — moonlighting from his gig as guitarist in Steve Riley & the Mamou Playboys — are played by members of Lafayette’s own Acadiana Symphony Orchestra, conducted by its music director, Mariusz Smolij, a world-renowned maestro. 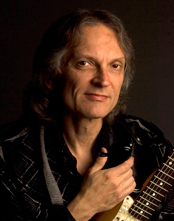 The strings are employed in a particularly inventive way wherever they appear on Elemental Journey, frequently embellishing the tunings that Landreth uses for slide guitar — “sometimes in unison like a horn section, sometimes as a legitimate quartet or full blown orchestra,” Sonny explains. Prepare to be engaged . . . and transported.